Since TiVo DVRs are essentially computers, their connection to computer networks has always seemed like a natural fit. The dial-up connections that all TiVo DVRs can make are, in fact, network connections connecting the TiVo to the TiVo servers. But it was apparent from the start that much more synergy could come with a full-time network connection. Hackers developed the first network connections for TiVos, using a port on an edge of the motherboard. They connected a home-made board to this port and wired an ethernet cable out to a router. Then they hacked the Linux OS to get BASH prompts and install their own software. Eventually, Jaffa, at Silicon Dust, produced a commercial version of the board called the TurboNet. TiVo enabled TurboNet users to use the network connection to get their guide data so that they wouldn't need to use a phone line for the connections any longer. TiVo, Inc. didn't really entertain the idea of full-fledged networking until they started shipping Series2 hardware. Since the release of the first Series2 unit, the TCD140060, every standalone unit has had USB ports. One reason that TiVo included these ports was as a gateway to networking. In fact, these ports have been used for little else since. The first use of the USB ports for networking was not really supported by TiVo. Word emerged that with a dialing prefix of ,#401 the TiVo would attempt to use a USB-ethernet adapter connected to a router with a DHCP server. This would enable the TiVo user to get guide and OS updates over the network instead of over the phone line. Since an incoming phone connection cost TiVo more than an incoming network connection, this was good for both TiVo and the customer. Next, starting in April, 2003, TiVo began selling a package called Home Media Option or HMO. For users of standalone TiVo Series2 units, HMO was an TiVo service add-on for $99 for the first unit on the account, $49 for each additional unit on the account. Once the customer paid, that machine had HMO in addition to the other services. HMO was later just folded into the regular TiVo service, angering many who had paid the $99. Probably, not enough customers were paying the $99 fee, and since TiVo stood to grow by pushing new services through networking, it made sense for them to drop the surcharge, which they did in June, 2004. At this point, TiVo changed the name from HMO to HMF: Home Media Feature. HMO debuted with three main features: photo-casting, MP3 streaming, and Multi Room Viewing, or MRV. Photo-casting: For photo-casting to work, HMO required the installation of TiVo Desktop software on your Mac or PC. Then, once configured, the TiVo could see the photos specified on the computer, and display them on the TV screen. The idea was to bring the era of "come see my vacation slides" into the 21st century. MP3 Streaming: Since most TiVos are connected in living rooms to both televisions and stereo systems, the TiVo was really a gateway device. Being in the living room, but on the computer network, the TiVo was a great way to easily stream MP3s from computers into a home theater system. This is similar to plugging an iPod into your stereo, but no iPod is needed, and it's essentially always available. Better yet, you can change songs or playlists with the TiVo remote, and you can see what song is playing from across the room. Multi Room Viewing or MRV: This application was a brilliant move for TiVo since it gave customers a compelling reason to have more than one TiVo in their house. With MRV, two or more TiVos connected on a network and on the same TiVo.com account can share programs. So if a program is recorded on a living room TiVo, and the user wants to watch it in the bedroom, the show can be transferred over the network to the bedroom TiVo. 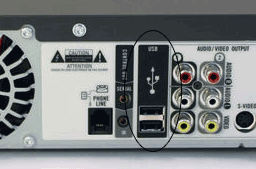 In addition, since these TiVos didn't have two tuners at this point, this feature essentially allowed users to record two shows on the same channel at once using two separate DVRs, then watch them in either location. In general, the show does have to buffer before being watchable on the destination TiVo - a process that can take several minutes or more, depending on the speed of the network. After this first release of HMO, TiVo added more features, and opened up the ability for developers to add features using the Home Media Engine, or HME. Fandango - allows the user to order movie tickets online in advance, and pick them up at the theater. Functionally similar to fandango.com.